We caught up with Eddie Veliz of LA based riff monsters Kyng ahead of their ‘Lords Of The Riff 2’ UK tour with Lionize and, following Anti-Mortem’s announcement last week that they were disbanding, Greek rockers Planet Of Zeus. Eddie was in fine form and we got to hear just how busy the band have been in 2014, having released the headbangingly brilliant ‘Burn The Serum’, the follow up album to ‘Trampled Sun’. 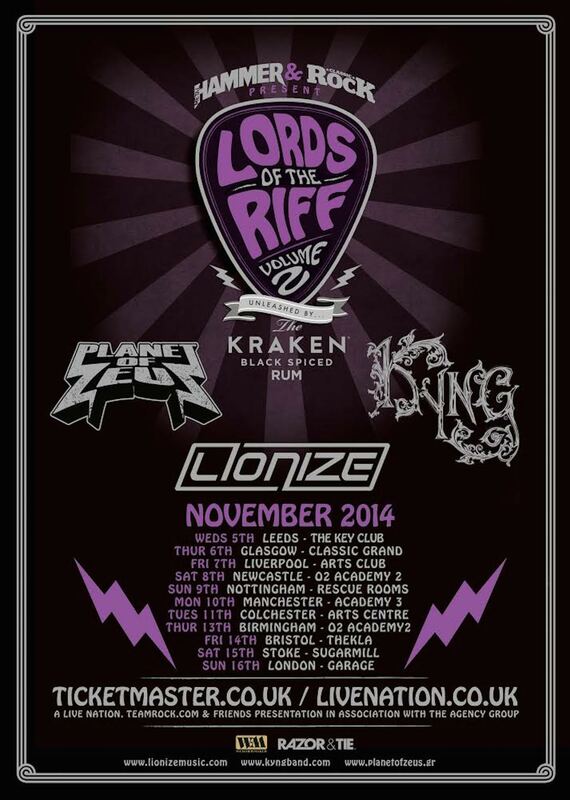 Lords Of The Riff 2 takes off in Leeds at The Key Club on November 5th for an 11 date tour of the UK. For a measly £10, this promises to be the best value gig of the year. Three bands that will be laying it down thick and heavy…pure riffage all the way, and as Eddie says, “(We’re gonna) throw down some big balls with heavy roots and some massive riffs”.